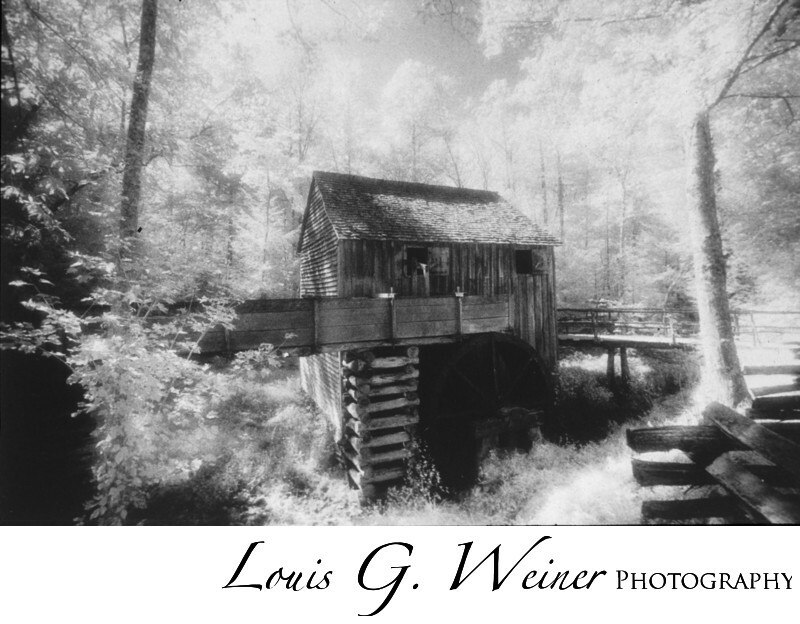 Photograph of old Mill in the Cades Cove national Park. Captured with Kodak infrared film, sadly this film is no longer produced but it created an amazingly interesting photographs. Perhaps Kodak will bring it back as they expand their film line, I would love to see it produced and easily available again. This look can somewhat be created in Photoshop and there are other infrared films out, but none quite like the old Kodak version.